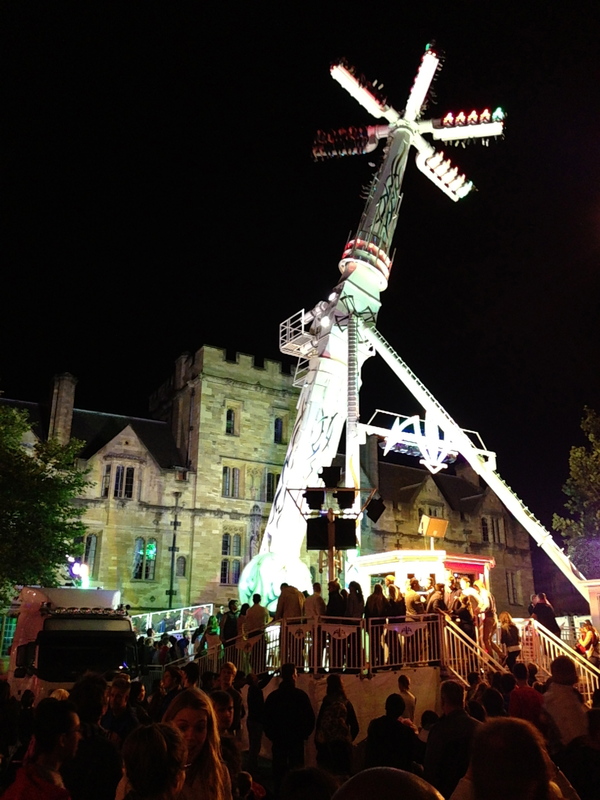 Oxford has this week been turned over to the annual St Giles’ Fair. It has been the traditional riot of lights, colour, and smells (some good, some less so)… I always feel that it is such a shame that the fair is not held when the students are in term and can also enjoy it; however given that its history goes back to pre 1200, I guess the fair has precedence over the undergrads! Traditionally, anyone with a beershop was allowed to bring barrels of beer to St Giles’ Fair for sale. The great Wikipedia also tells me that another custom was that any householder in St Giles itself could sell beer and spirits during the fair by hanging the bough of a tree over their front door. Next year I am going to make a fortune flogging gin and beer with only the help of a hanging bough!